It has been fewer than 20 years since California voters ushered in the modern era of marijuana policy by approving a loosely-written initiative to allow for the use of medical marijuana. Since then, medical marijuana laws have spread to almost half the states (and that's not including those CBD-only bills in vogue this year), nearly as many states have decriminalized small-time pot possession, and two have taken the plunge into full (more or less) legalization. I'm optimistic that the pace of change is only going to accelerate. I can foresee Alaska, Oregon, and the District of Columbia legalizing it at the ballot box this year; with California, Nevada, Arizona, New Mexico, and Montana all good candidates for doing the same in 2016. And if advocates in big Midwest states like Ohio and Michigan can ever manage to get a legalization initiative on the ballot there, we could pick up critical states in the Heartland. It'll be a tougher slog in the states, mainly in the East, that don't have the initiative process. I would be surprised to see any of them legalize it until after 2016, in part because the legislative process is typically so slow, but also in part because after 2016, legislators will begin to understand that they're about to miss the marijuana revenues boat. While legalization bills are already popping up around the country, I'm not holding my breath, but I expect one or more of the New England states to legalize it at the statehouse in the months following the 2016 election, and then the race will really be on. But After Legalization is much more than mere wishful prognosticating. It is an in-depth, thoughtful, and insightful look at how our approach to legal marijuana will evolve, what the issues are likely to be, where the battle lines are likely to be drawn, and who the players will be (you might be surprised). Walker provides concrete hypothetical examples of different approaches to legalization (available at state stores only, available from private stores, available from gourmet boutique stores), different product lines, and differing tax and regulation schemes, as well as delving into the minutiae of state and local regulation. One thing that struck me was Walker's assertion that the wholesale cost of high quality marijuana under general legalization would be about $37 an ounce, and that good pot would probably sell for something like $75 an ounce retail -- more at those fancy boutiques. That's way cheaper than what we're currently seeing in Colorado, where legal pot is fetching near black market prices, but I suppose that black market premium will go down in the face of broader legalization. Relatedly, Walker also argues that the federal government can effectively set retail marijuana prices. It can do so by imposing a two-tiered excise tax that only kicks in if individual states have not passed their own excise tax. California could choose to impose no excise tax on pot, but it would gain no competitive advantage in pricing because then the federal excise tax would come into play. Such a system would, however, discourage states from setting excessive excise taxes because they could be undercut by neighbors. After Legalization is an exercise in serious marijuana wonkery -- and I mean that in a good way. After legalization, the struggle won't be one of freedom and liberation, but of legislative committees, zoning boards, and product packaging disputes. Multiple interests will be at play, and pot smokers will only be one of them. Walker's work unpacks these intricacies, lays out the possibilities, and still manages to be entertaining. 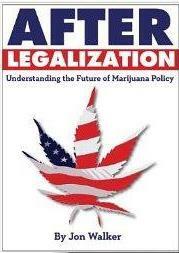 It should be required reading for policy-makers, legislators, and staffers beginning to grapple with these issues, but it's a comprehensive and provocative read for anyone with a serious interest in the future of pot policy. If Walker attempts to answer the question "Where do we go from here?" 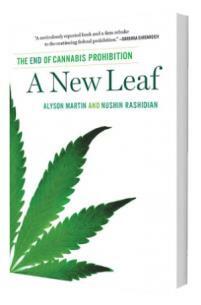 Alyson Martin and Nushin Rashidian attempt to tell us how we got here in the first place with A New Leaf. With the pair of investigative journalists, we're off on a journey into the recent history of marijuana law reform. Regular readers of the Drug War Chronicle will know the stories the pair tell and the people they talk to -- this is exactly what I've been covering for the past 13 years -- but Martin and Rashidian manage to turn the whirlwind of events into a seamless, comprehensive narrative that explains the rise of the marijuana movement, culminating with the election day victories in Colorado and Washington in 2012. They interview patients, growers, researchers, businesspeople, legislators, activists, and more as they tease the tale of marijuana reform from those first federally approved patients in the 1970s and 1980s through the AIDS crisis and the rise of medical marijuana in California, and beyond. Anyone wanting to join the conversation about the rapidly changing landscape of marijuana reform would be well-served to have A New Leaf on his bookshelf. Like Walker, Martin and Nushidian see pot prohibition imploding in short order, and that brings us to the next order of business. With marijuana no longer illegal, the broader war on drugs loses its primary raison d'etre. Marijuana users constitute the vast majority of all illicit drug users -- with pot legal, the number of illicit drug users would drop from more than 20 million to somewhere around 2 million. That could mean that the drug war collapses for lack of a suitable target. Or it could mean that the resources of the law enforcement juggernaut are focused all the more intensely on the remaining illicit drugs and their consumers. Even when marijuana legalization is a done deal, our work isn't done until we manage to kill the beast of prohibition once and for all. "I hear the drumbeats from Washington and Colorado," states that recently approved legalization measures, he said. Oregon voters could do the same. 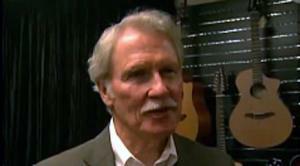 "I want to make sure we have a thoughtful regulatory system," Kitzhaber said. "The Legislature would be the right place to craft that." Perhaps Kitzhaber is hoping to head off a ballot initiative that could legalize marijuana in Oregon instead. Either way, we'll take it. A California marijuana legalization initiative backed by the Drug Policy Alliance (DPA) was filed Wednesday with the state attorney general's office. But the national drug reform group said it has not yet decided whether to campaign to get it on the November 2014 ballot. The Control, Regulate, and Tax Marijuana Act would legalize up to an ounce and four plants for people 21 and over and create a statewide system of regulated marijuana commerce. It would also impose a 25% tax on retail sales. A year ago, in the wake of the legalization victories in Colorado and Washington, major players in the California marijuana reform movement, including California NORML, the Coalition for Cannabis Policy Reform, the ACLU of California, the Drug Policy Alliance, the Marijuana Policy Project, and late drug policy reform funder Peter Lewis's representative, Graham Boyd, met in San Francisco and came to a tentative agreement that they would work together toward putting an initiative on the ballot in 2016. Reluctant to risk another defeat at the ballot box like Proposition 19 in 2010, the movement heavyweights jointly decided to let other states take the lead in 2014 rather than act precipitously and potentially see the reform movement suffer a major blow with another defeat in the nation's most populous state. But momentum in favor of marijuana legalization was growing quickly, as evidenced by a September Gallup poll's 58% in favor of legalization nationally and polls out of red states like Indiana, Louisiana, and Texas showing majority support. That was also the case in California, with a September Public Policy Institute of California poll showing 60% of registered voters favoring legalization and an October Tulchin poll that had support for legalization at 65% among likely voters. Those numbers prompted some key players to reconsider, especially given that two other marijuana legalization initiatives -- not vetted by the heavyweights -- are already floating around. The first, the California Cannabis Hemp Initiative of 2014, the perennial effort by acolytes of the late Jack Herer, is in the signature gathering phase, but shows little sign of having the financial wherewithal to actually gather enough signatures to make the ballot. The second, the Marijuana Control, Legalization, and Regulation Act of 2014, described by its proponents as "the world's first open source initiative," is pending approval at the attorney general's office after its proponents handed in its second amended version Friday. Now DPA has stepped in with its own 2014 initiative. "The Drug Policy Alliance is the primary force behind this and primary drafter of this initiative," said Steve Gutwillig, DPA's deputy director of programs. "We wanted to make sure that a responsible and well-drafted initiative would be available in 2014 should a full-fledged campaign become possible. Filing this initiative is making sure that there is a viable initiative vehicle if we go forward in 2014. We think it reflects what the voters will support." Gutwillig emphasized that no decision to move forward had been made, but that one would be forthcoming early next year. The clock is ticking. The deadline for gathering signatures for November 2014 is April, and given that state officials have up to 60 days to return a ballot summary and let signature gathering commence, that means the window for signature gathering could be as short as three months. With more than 500,000 valid signatures needed to make the ballot, that would be a daunting and very expensive prospect. It may still be better to wait for 2016, said Dale Gieringer, the longtime head of California NORML. "I don't see that this does much for patients or consumers," he said. "The fact that we have three initiatives proposed for 2014 shows a relative lack of unity and a lack of adequate consultation among the various groups. And it's really late in the day." Gieringer pointed to language leaving the state's medical marijuana system intact as one issue. "We would have two systems, one with a special tax, one without," he noted. "Guess which one most people would patronize. 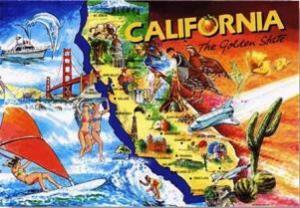 The legislature might respond by getting rid of collectives or dispensaries. Medical marijuana regulation is the elephant in the room, and these are complicated issues that will require consultation by a lot of interest groups." "People started panicking when those strong poll numbers came out in the fall and started thinking 'Gee, this is really feasible,'" Gieringer said. "But it was so late in the day that people couldn't really get together and plan and vet to come up with a well-conceived plan. This is a stab in the dark, especially until we see how Colorado and Washington play out, especially the tax and regulate part. How is this going to work in the marketplace? 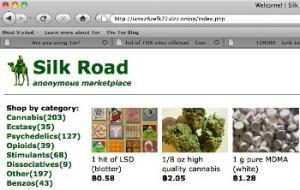 Will people patronize highly taxed marijuana shops or not?" The DPA effort may not be the perfect marijuana legalization initiative -- that elusive creature has yet to be spotted -- but it is out there now, at least as a place holder. The other two initiatives appear unlikely to actually make the ballot, so the decisions made early next year by DPA and its allies are likely to determine if California votes on marijuana legalization next year or not. 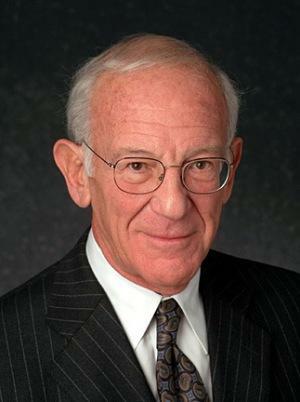 Peter B. Lewis, the billionaire head of Progressive Insurance and a leading funder of drug reform efforts in recent decades, died Saturday at his home in Coconut Grove, Florida. He was 80 years old. The Cleveland native built Progressive, a small company started by his father, into an auto insurance powerhouse with more than 26,000 employees and $17 billion in premiums. His personal fortune was estimated at around $1 billion at the time of his death, and over his lifetime, he donated about $500 million to various causes. As progressive as the name of his insurance company, Lewis financially supported the American Civil Liberties Union and the 2004 presidential campaign of then Sen. John Kerry. He also helped launched progressive organizations including Media Matters, Third Way, Citizens for Ethics and Responsibility in Washington, among others. One of his causes was drug law reform, particularly marijuana. Open about his enjoyment of the herb, Lewis was arrested by New Zealand authorities in 2000 after flying into the country to attend yacht races. But his financial support for the cause predated that event. Through the years Lewis contributed millions of dollars to a series of a initiative campaigns, including last year's successful campaigns in Colorado and Washington, where he was the single largest donor. Before he died, he also contributed to a nascent effort to put a legalization initiative on the 2014 Oregon ballot. Along with financier George Soros and Phoenix University founder John Sperling, Lewis was for years one of the troika of big money funders for drug reform. That has begun to change as a new generation of entrepreneurs begin to pony up for reform, but Lewis and his money played a critical role in the reform movement getting to where it is now. "The role that Peter has played in marijuana reform is that of leading this movement to the very brink of success," attorney and Lewis political strategist Graham Boyd told the Cleveland Plain Dealer Saturday night. "We've won two important states and I think just in the very near future there's going to be a cascade of victories that will be attributable to him and I do wish he had lived to see that success." Canada's opposition Liberal Party head Justin Trudeau has called for the legalization of marijuana, putting himself and his party on a collision course with the ruling Conservatives ahead of 2015 elections. Trudeau's stand also differentiates the Liberals from the New Democratic Party (NDP), which has been the progressive party on drug reform, but which only calls for decriminalization. 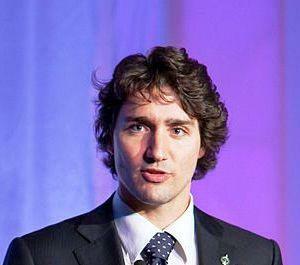 The Liberals adopted marijuana legalization as a platform plank in January 2012, but Trudeau had previously lagged behind the party, calling only for decrim. Trudeau revived drug policy as an issue when, at a Kelowna, British Columbia, event Sunday, he spotted someone in the crowd holding a sign calling for decriminalization. "I'll take that as a question," he volunteered. "I'm actually not in favor of decriminalizing cannabis, I'm in favor of legalizing it, tax and regulate," he said to applause. "It's one of the only ways to keep it out of the hands of our kids, because the current war on drugs, the current model, is not working." In Vancouver on Thursday, Trudeau elaborated. "Listen, marijuana is not a health food supplement, it's not great for you," he told reporters, but added that it was no worse for people than cigarettes or alcohol and he was now willing to go further than just decrim. "I have evolved in my own thinking," Trudeau said. "I was more hesitant to even decriminalize not so much as five years ago. But I did a lot of listening, a lot of reading, and a lot of paying attention to the very serious studies that have come out and I realize that going the road of legalization is actually a responsible thing to look at and to do." When Liberals controlled the national government at the beginning of this century, they moved to reform the marijuana laws. But the Liberals only favored a quasi-decriminalization, and they ended up not even being able to move that forward. The Conservatives have held national power since 2006 and have ratcheted up penalties for some drug offenses, including some marijuana offenses. Responding to Trudeau's comments this week, the party said it was staying the prohibitionist course. "These drugs are illegal because of the harmful effect they have on users and on society, including violent crime. Our government has no interest in seeing any of these drugs legalized or made more easily available to youth," the prime minister's office said in a statement. The Conservatives' position on marijuana puts them out of step with most Canadians on the issue. An Angus-Reid poll last fall showed Canadian support for legalization at 57%, and other surveys have polled even higher. Canadian marijuana seed magnate and political dissident Marc Emery, who is about four years into a five-year US prison sentence for selling pot seeds over the Internet, has been sent to solitary confinement at the Mississippi federal prison where he's doing his time. According to the magazine he founded, Cannabis Culture, he is being punished over false charges. 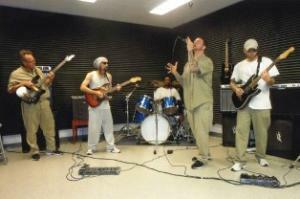 Emery, along with other prisoners at the Yazoo City Federal Correctional Institution, formed a band some months ago. Photos of the band were taken by prison staff, then developed and sent to his wife, Jodie Emery, in Vancouver, and were posted on his blog in April. According to Emery, permission for the photos was granted by three separate administrators, including one at the prison's Special Investigative Services department. But now, prison officials have placed Emery and his bandmates in solitary confinement while they say they are investigating the possibility the photos had been taken with a prohibited smart phone. Prisoners in solitary, or, as it is euphemistically known, the Special Housing Unit (SHU), are locked in their cells 23 hours a day and denied normal prison amenities. "Got to see Marc for 1.5 hours," Jodie Emery posted in an online statement Friday, shortly after a trip to visit him. "Prison has him in solitary confinement to 'investigate' the photos of his band that the prison itself approved! The investigation (could take months) is to see if Marc had a cell phone to take the band photos -- despite proof the prison camera was used! The warden, guards, music/recreation admins -- everyone -- knows Marc got official permission for those photos. Yet they put him in solitary?!" Cannabis Culture reported that prison authorities were unavailable to comment until after the weekend. As an entrepreneur and activist, the Vancouver-based Emery was a burr under the saddle of US drug warriors, who managed to indict him for his seed-selling business. Canadian authorities declined to help him, although they had allowed his business to operate untrammeled for years. He was eventually sentenced to five years in federal prison in a plea deal designed to spare his codefendants from facing the wrath of US prosecutors. In a press release the day of his arrest, the DEA issued a press release crowing that taking him down was "a significant blow… to the marijuana legalization movement… Hundreds of thousands of dollars of Emery's illicit profits are known to have been channeled to marijuana legalization groups active in the United States and Canada. Drug legalization lobbyists now have one less pot of money to rely on." With little more than a year to go on his sentence, Emery is seeking a transfer to a Canadian prison. Interested parties can support his bid by sending a letter to the Justice Department's transfer division. We received word Wednesday that Mike Gray, probably best known in the drug reform community as the author of "Drug Crazy: How We Got in this Mess and How We Can Get Out," has died. A fixture at drug reform conferences for the last decade, Gray had been a staunch advocate of ending drug prohibition and had worked with Robert Field at Common Sense for Drug Policy to publicize the abuses of the drug war and assist local activists seeking reform. Among his many works at CSDP were the DVDs "Law Enforcement Against Prohibition," highlighting spokespersons of the group by the same name, and "Cops & Clergy Condemn the War on Drugs." 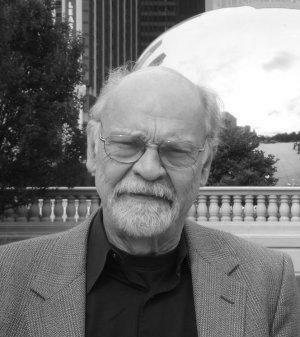 Born in 1935 in Darlington, Indiana, Gray received an engineering degree from Purdue University, but found his life's work in documenting political violence as a filmmaker. He was a cofounder of the Chicago-based Film Group, a pioneering collection of documentary filmmakers whose works included "The Murder of Fred Hampton," the Chicago Black Panther leader gunned down by police in 1969. Gray's iconic coverage of the police riots at the 1968 Chicago Democratic convention were seen around the world. Gray moved to Los Angeles in 1973, where he expanded his creative endeavors to include screenwriting credits for four-time Oscar nominated "The China Syndrome" and other films, for episodes of "Star Trek: The Next Generation," as well as a number of books. His written work addressed issues such as the nuclear accident at Three Mile Island and the use of the death penalty, as well as drug reform. In addition to "Drug Crazy," Gray returned to the issue of drug policy with "Busted: Stone Cowboys, Narco-Lords, and Washington’s War on Drugs." Gray won the Writers Guild of America Award for Best Original Drama and was nominated for an Academy Award for Best Original Screenplay, and for the BAFTA Award for Best Screenplay. Your reporter conversed briefly with Gray at the California NORML conference in January. He didn't appear to be in ill health; his death comes as a shock, if not a surprise, given his age. He will be missed.